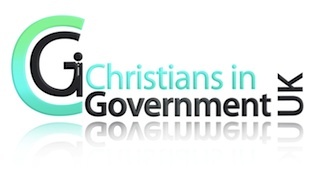 We are very delighted to announce that Christians Against Poverty (CAP) will be Christians in Government’s charity of the year 2019. CAP is a national poverty relief charity. The charity has over 600 centres across the UK, each run by a local church where CAP works with clients who are trapped in a world of debt and poverty. As well as their Debt Centres, CAPs Job Clubs, Release Groups and Life Skills training, helps to tackle the root causes of poverty, such as unemployment, addiction and a lack of financial education. Did you know that CAP helps over 21,500 families each year in local communities across the UK? Their debt work is offered free, and is authorised by the Financial Conduct Authority and highly commended by Martin Lewis. See video in this link. This is excellent news as it presents a number of opportunities for CAP to partner with Christians in Government throughout the year. To kick off, there will be a lunchtime talk with CAP on Tuesday 12 February at 12:30 in Cheyneygates, Westminster Abbey. Our CIG Easter Service on 3rd April at 6 pm in St Margaret’s, Westminster Abbey will have a special focus on poverty and debt with John Kirby, CEO as our speaker. Your chance to get involved with CAP! CAP is offering opportunities for us to volunteer in fundraising, donating Easter eggs, preparing Christmas Hampers, and visiting their local centres. By hosting a CAP talk or prayer session in your office. Raise awareness of CAP support for colleagues who would like support to tackle debt. If you are interested in any of the above, please email info@christiansingovernment.org.uk. To find out more about CAP, visit their website home page. If you or someone you know would like help to get free from debt, you can find out what is available in your local area here.